Usually, when sequels roll around – the audience is filled with much trepidation. Will it be as good as the first one? I didn’t check out the earlier version, why should I bother with the second? What’s new this time around? Well rest assured fellow Gaysis, I am here to address all these concerns. 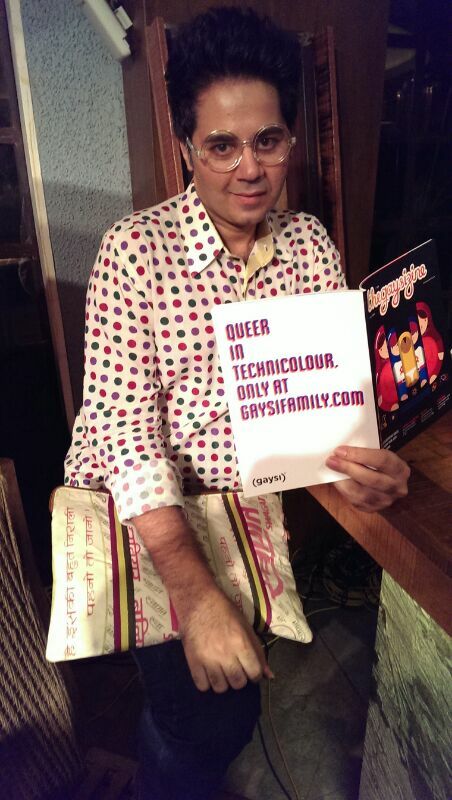 For those of you who may just be joining us, The Gayzi Zine is the Gaysi Family’s very own homegrown print publication and magazine for the Desi LGBTQ community. In this iteration, the Gaysi Zine is made up entirely of brand spanking new content sourced exclusively from writers across the Gaysi spectrum and through submissions from our reader community. We have excerpts from upcoming books, unique short stories from published authors, movie talk and even graphics. And plenty of naked pictures. Yep. We aim to please. Truthfully though, there is a dearth of queer magazines in the mainstream and with the Gayzi Zine – we want to fill that odd gap. We’ve funded it entirely ourselves (Chicklet hasn’t eaten for months… and MJ has contributed her Butter Chicken proceeds) and most of the money we aim to obtain through retail goes towards recovering the printing costs of the publication itself and printing more copies of the Zine. And there is a reason for that – See, here is the thing : We want this magazine to go to places – everywhere would be preferable actually, but we mean the far flung corners of India and the world. It could be smuggled across borders in the saddle of an exotic animal and we’d be thrilled. Over the years, we’ve realised that the online world has its limitations – and it struck us that maybe, just maybe our words weren’t reaching everyone. We wanted to change that – and the Zine is our way of getting the Gaysi Family’s forte: its writings and words into the most accessible form possible – the material pages of a book. Thus, the Gaysi Zine Second Edition was born! So how can you get your hands on a copy, you ask? Deets right here! In New Delhi : You can buy your copy of Gaysi Zine from Bahrisons Booksellers (Khan Market) Or People Tree Book Store (Connaught Place). In Bangalore : Purchase the Gaysi Zine Vol. 2 from BookStop!(Koramangala). 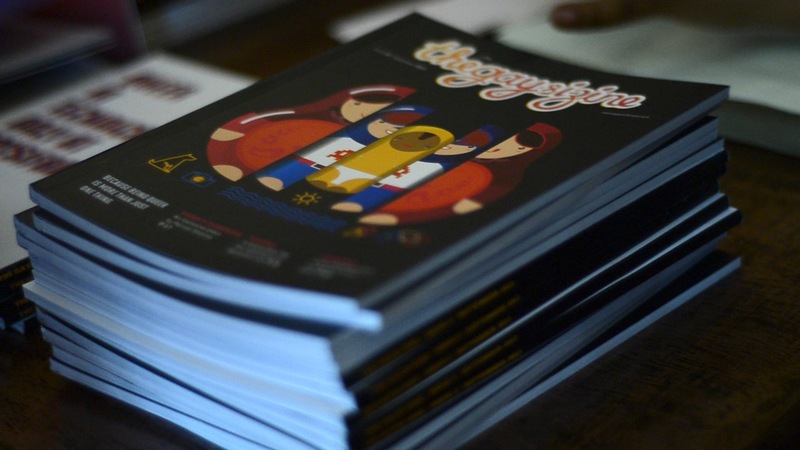 In Goa : Pick up the Gaysi Zine from People Tree (Assagao) & Literati Bookshop (Calangute). 2. Gaystheword : Address: 66, Marchmont Street in Bloomsbury, London- just a two minute walk from Russell Square Tube Station. Just shoot an email (to : gaysifamily[at]gmail[dot]com) with your purchase request and we will immediately revert back with payments options & delivery information. We’ll do our best to get a copy across to you. A short week ago, we finally had the Gaysi Zine in our hands fresh off the printer presses, transported by a loyal Gaysi from Delhi just in time for its first big official launch – At Dirty Talk 5.0 on September 15th, 2013. Apart from frequently re-enacting the Lion King and holding the Gaysi Zine up like Simba, we saw many of you at Dirty Talk thumb through those beautiful pages and loved the early feedback we got right then and there. This magazine is for you dear readers and for your friends and family and strangers – whoever they may be in the remote outposts of the world. Because we always know we are never alone. 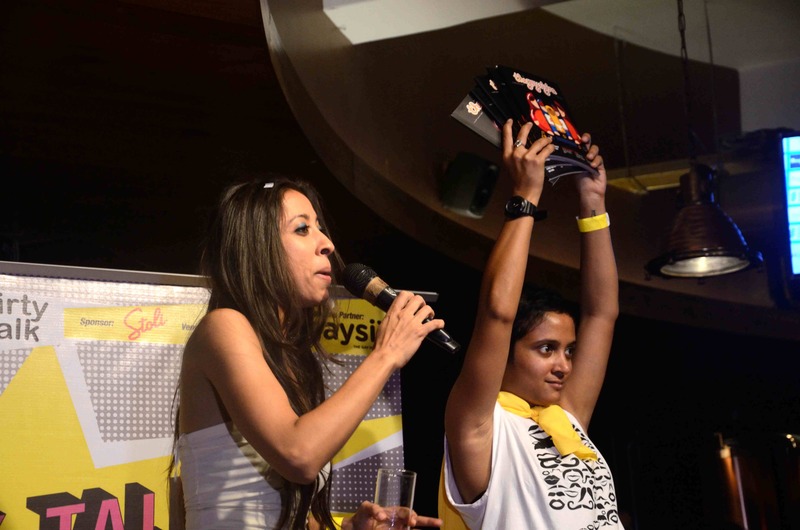 So read a little or a lot and let us know what you think of the Gaysi Zine. We’d love to hear about it! And if you’d like to share it on Gaysi Family, just drop us a line and we’ll have your review up in a jiffy. Next post Counting…1,3,4. Breathe. 5,8,9.